We’ve swapped out a couple of panels on our fan favorite Mortirolo Jacket with our high-visibility retroreflective fabric, giving you an elevated level of reflectivity from any angle in a jacket that’s made to perform. With the extra visibility you can train longer in the evening or use this as your go-to piece for night rides. 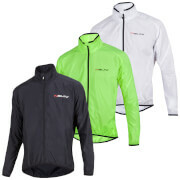 This replaces an earlier medium sized Castelli jacket which had a failing zipper. The zipper on the Mortirolo is certainly sturdier, but I was surprised by the looser fit overall. Castelli's medium usually give me a tight but still breathing fit. 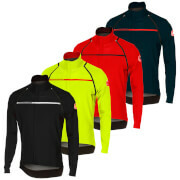 It's not as warm as the old jacket either so warmer base layers may be needed below 5C. I used the old one down to -12C although I wouldn't suggest Castelli extend the temperature range for this one anywhere near that. I'm riding in the dark through most of the winter months, so the reflective panels are a welcome feature. 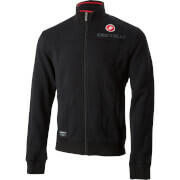 I wish they'd lose the giant "Castelli" logos on their newer gear. If I'm going to be a billboard, I want to get paid.